Integrate collaboration and business applications for your digital workforce. Boost workplace productivity while making your organization even more agile. 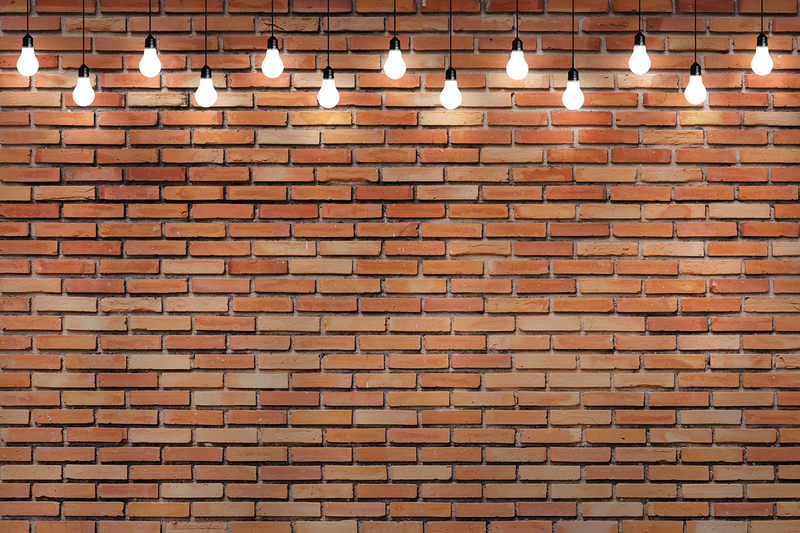 It’s time to connect the dots between Intranet, Digital Workplace and Office 365. Where do you want to start? Hoozin is easy to use and ready to go right out-of-the-box! Integrate Hoozin with Office 365 to deliver a positive end user experience while optimizing your existing Office 365 investment. 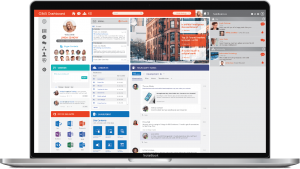 Boost adoption by integrating Office 365 mail, calendar and other productivity tools directly into your Intranet landing page. 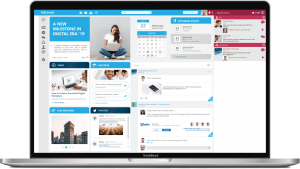 If your Intranet needs an innovation overhaul, Hoozin is the perfect solution to ensure a great user experience, fast delivery, and cost-effective results. Your business users will thrive within the Hoozin design because of its ease of use, rich functionalities and collaboration options. All of the social and collaboration features are included out-of-the box. Hoozin even comes complete with a content management system that managers and content contributors will love to use. Your digital transformation trategy starts here. 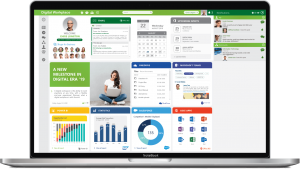 Hoozin Digital Workplace can help you harvest all the critical digital assets that you have today and consolidate them into one smart collaboration stack. Boost application consumption, improve collaboration, and keep your business users happy. Work can be done anytime, anywhere. Hoozin is optimized for every single device. Office 365 is highly innovative but not particularly user friendly. Hoozin can transform it to something end users will love! 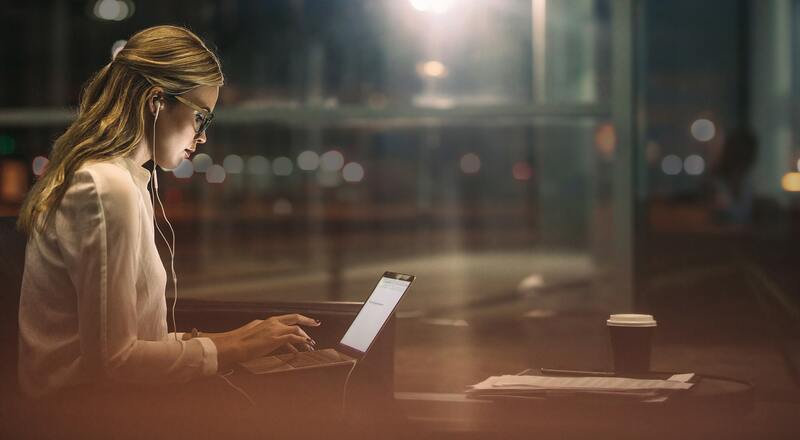 Be more agile by streamlining access to your business applications and processes, or leverage the Hoozin SDK to easily build powerful new applications. whether you are in the cloud or on-premises. Say ‘yes’ when SharePoint says ‘no’. Hoozin is made on top of the SharePoint API allowing you to build on you existing Intranet investments. Join us. Start your Free Trial now.